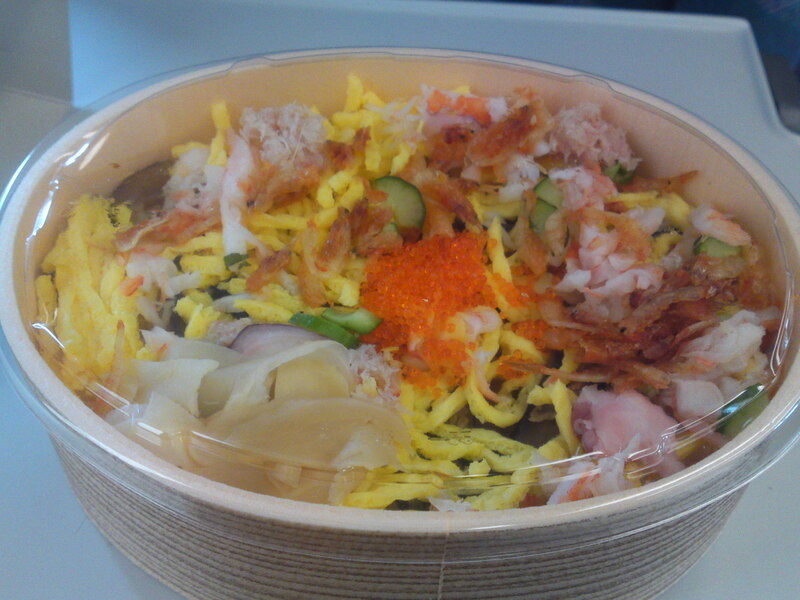 Ekiben/Railway lunch Box: Oku Suruga No Iso Chirashi in Mishima JR Station! 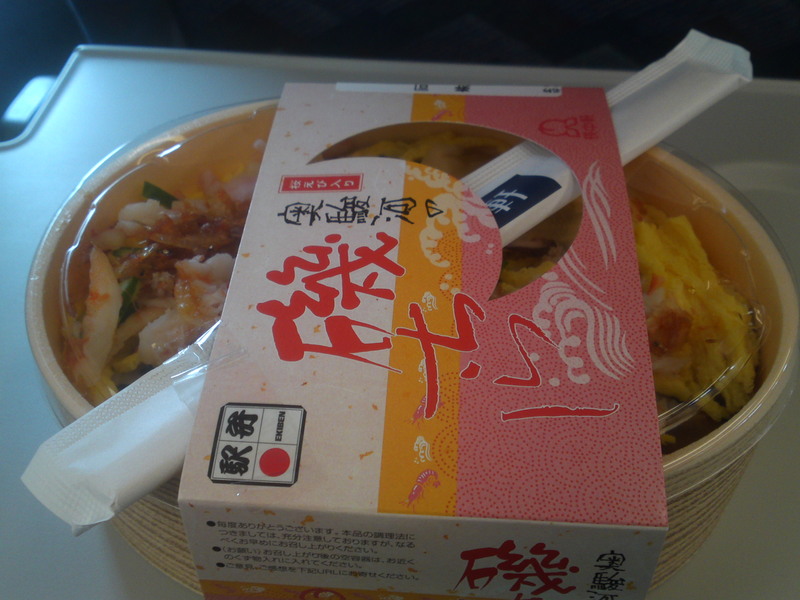 Yesterday I suddenly had to go all the way to Mishima City, about half an hour and two stations away by Shinkasen from Shizuoka City and just had the time on my way back to sample a new ekiben/駅弁/Railway Lunch Box (or boxed lunch)! 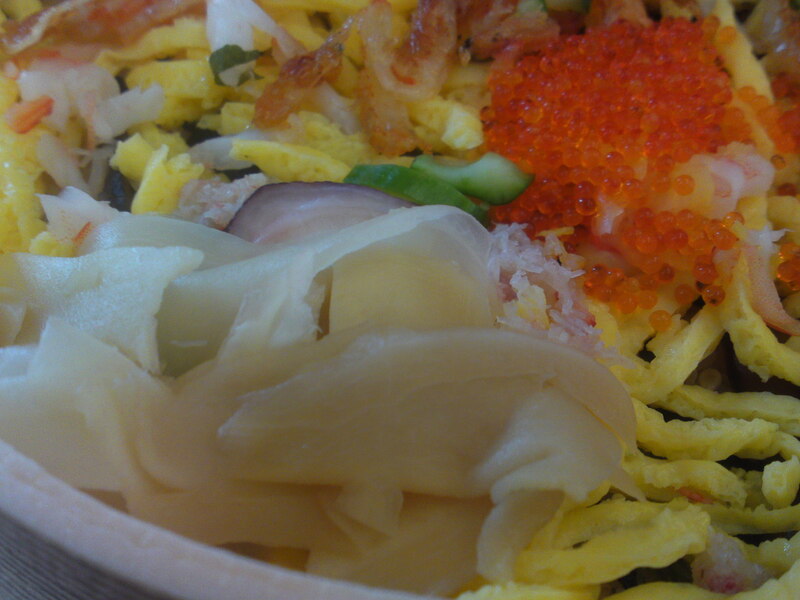 Oku Suruga No Iso Chirashi/奥駿河の磯ちらし basically means a chirashi/decoration-style sushi made with ingredients from the far corners of Suruga Bay! Can you see the little sign in the left top corner? 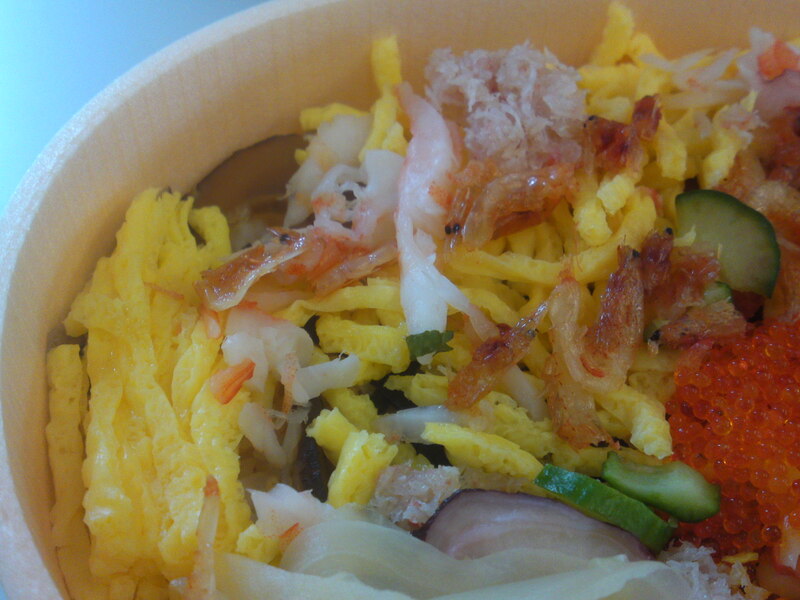 It is the registration as a “True Japanese Ekiben”! 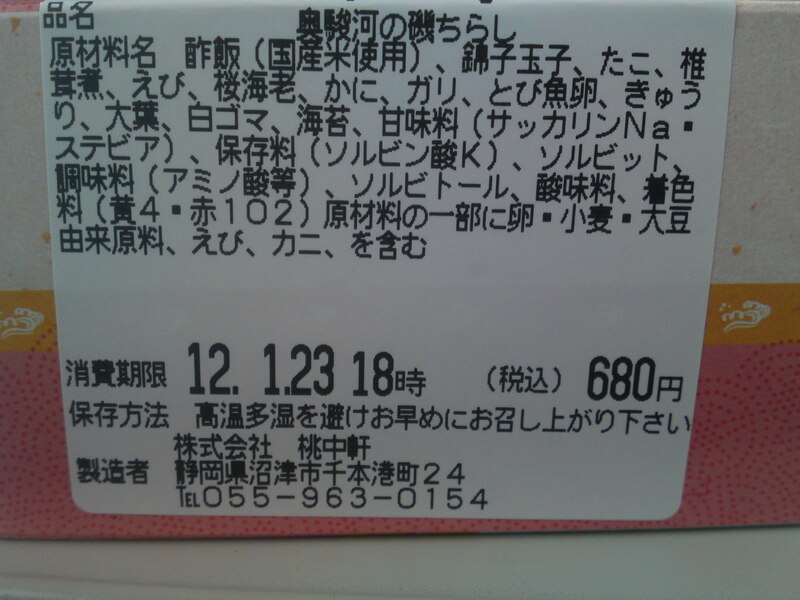 Tounakaken Co in Numazu City advertises precisely all the contents. And there certainly were a lot of ingredients! 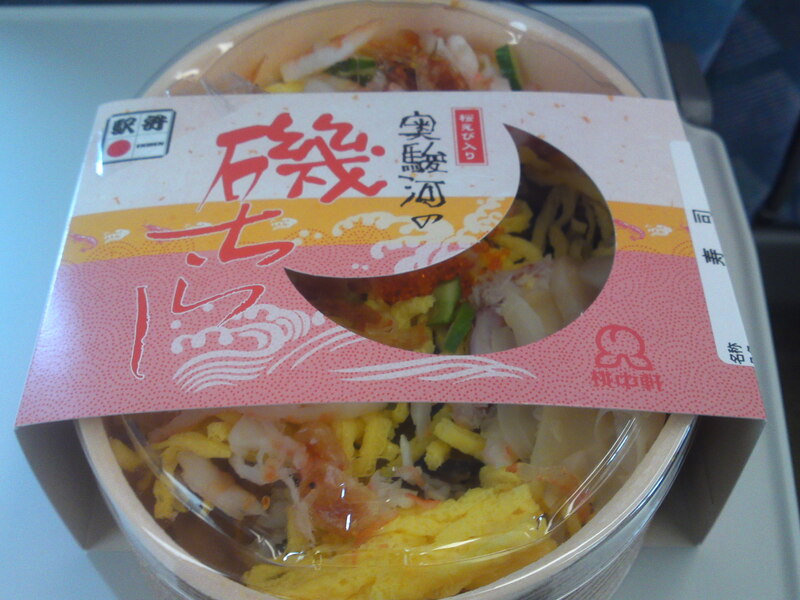 A rigid transparent plastic cover protects the contents. 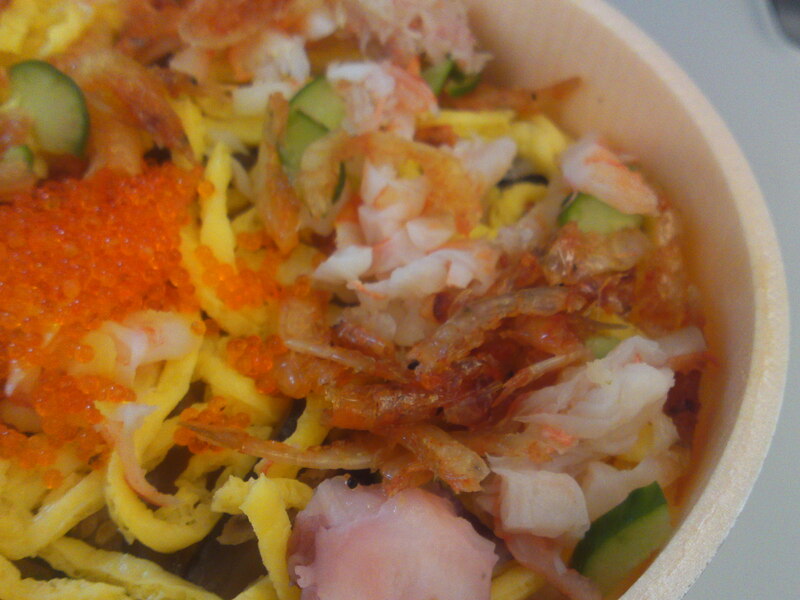 Sushi rice, Nishiki ko Tamago/shredded omelette, octopus, simmered shiitake, Sakura Ebi/Cherry shrimps, crab, gari/pickled ginger, tobiuo tamago/flying fish roe, cucumber, ooba shiso/perilla, white sesame seeds and seaweed! 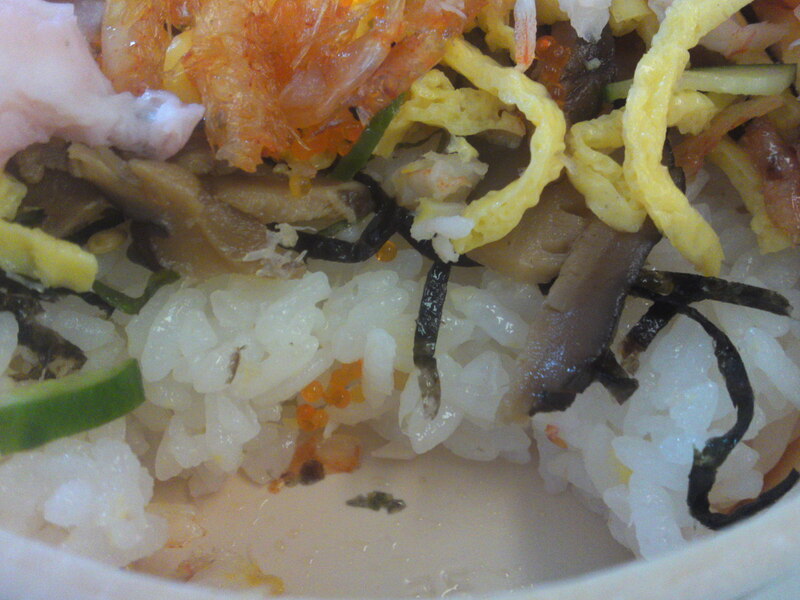 Here you can see that the sushi rice was first topped with konbu seaweed and simmered shiitake! 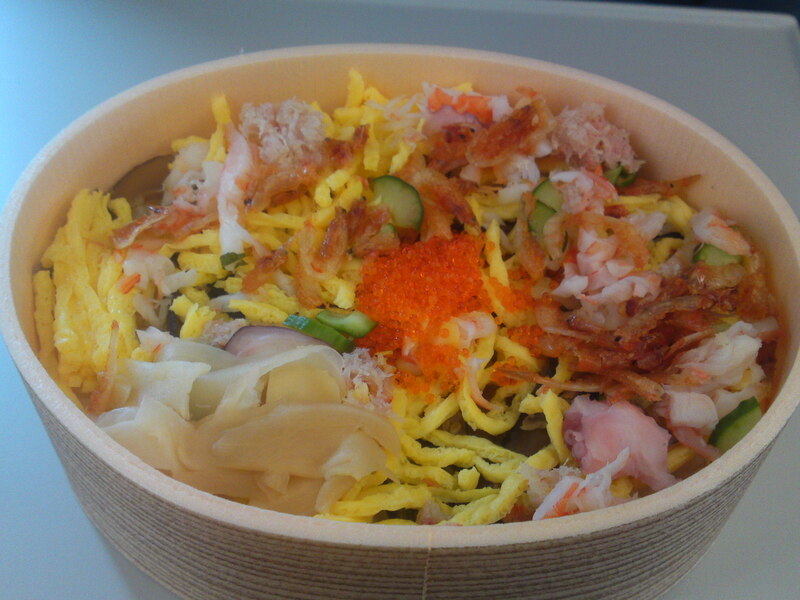 Previous PostToday’s Bento/Lunch Box (12/03): Sushi Roll Feast Bento!Next PostToday’s Bento/Lunch Box (12/10): Chirashizushi & Omelet Bento!